The top three soundbars from Consumer Reports are the next best upgrade for your 4K HDR TV since most, including the high-end have mediocre built-ins. While the stock pair is good enough for cable TV, watching movies or playing games will demand something more powerful and detailed. That is where soundbars come in, giving your ears the gift of detailed and punchy audio without eating up all the space. Fortunately, all of these three soundbars received the official ✅ from Consumer Reports, so you know you can’t go wrong. 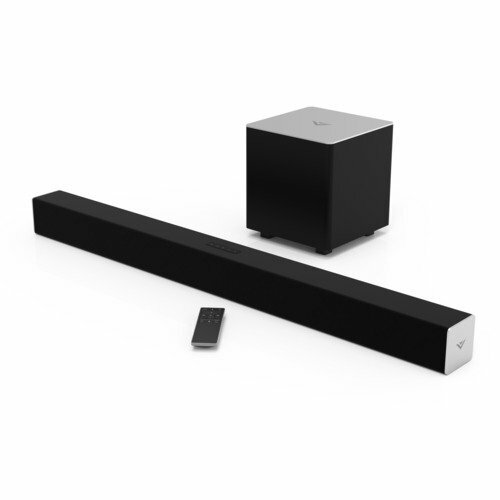 Channels – Soundbars come in many forms, from the basic 2.0 channel all the way to 5.1 surround. We recommend starting with 2.1 soundbars since it comes with a subwoofer that will separate the low frequency from the mids and highs to give you a cleaner sound. But if you want something more cinematic, we recommend splurging on a high-quality 5.1 set for the best experience possible. Price – Soundbars can start from as low as $50 and go more than a grand. It’s also worth having flexible return terms since audio devices sound different between the showroom and in your home. 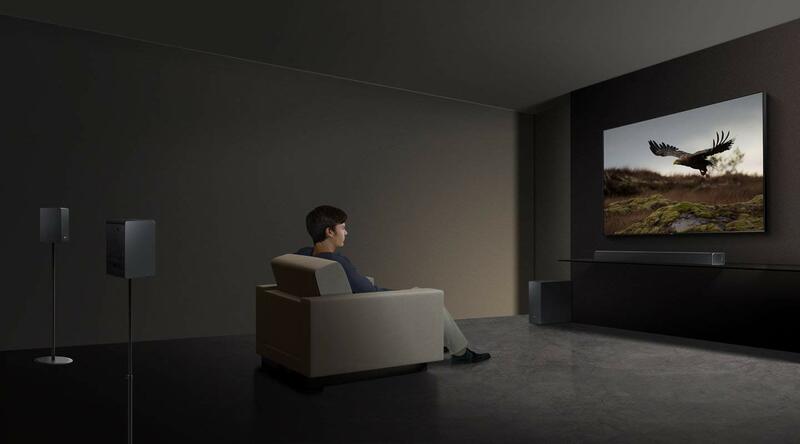 Dolby Atmos or dts:X – These audio standards are built into most soundbars with Dolby Atmos being the better, yet the more expensive option. dts:X is more widespread, but the former provides a fantastic 3D-audio experience you can find in some cinemas. 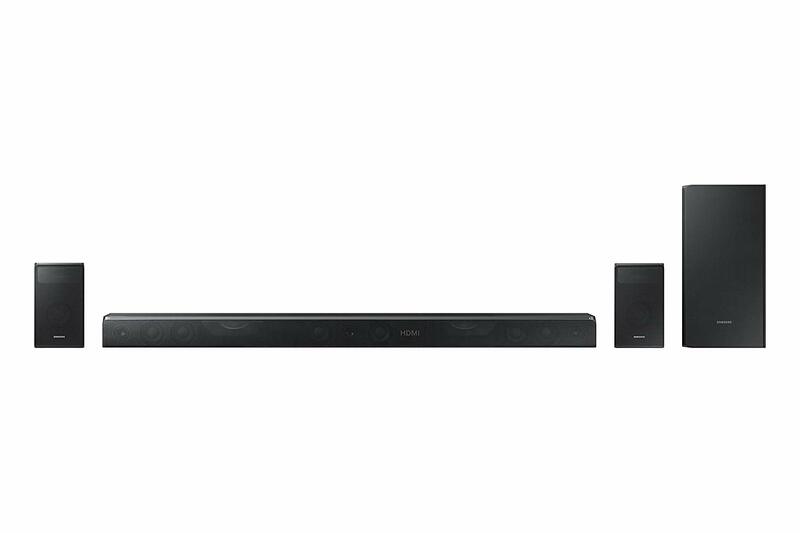 The Vizio SB3821-C6 is the cheapest soundbar you can get that will provide noticeable improvements over your TV’s built-in pair. The device is limited to 2.1 channel, but it is powerful enough to add oomph to your viewing while adding clarity to vocals and details. The wireless subwoofer is rare at this price point, plus you get Bluetooth connectivity for audio streaming. The Sonos Beam is a pioneering smart soundbar that delivers high-end sound quality that doesn’t even need a subwoofer. But what’s fantastic about it is its voice control feature thanks to its built-in Amazon Alexa feature. The Samsung HW-K950 is a top-ranking Dolby Atmos surround soundbar that delivers high-end sound. The subwoofer is large enough to shake your floor, while the wireless rear speakers add depth and detail without fussy wires. This model is your best choice outside of a full-blown Dolby Atmos setup that could cost double or triple. Hi, Harry! May we know why you disliked the Samsung sound bar?